We went to Destin, Florida last week with my family and it was so much fun. The kids had never been to the beach and Tim and I hadn't been to Destin since our senior year in highschool. It was time to go again. Woke up early to get on the road. First stop, Starbucks. The week after my parents had the kids, we had all sorts of fun. First off, we headed to the zoo with playgroup. The kids love the splash pad there. And I do too because it has some shade and the perfect place to sit and eat snacks or lunch! A few weeks ago, my parents watched the kids for a week. A full week! Thanks mom and dad. They all survived ha! We met halfway and dropped the babies with my parents. 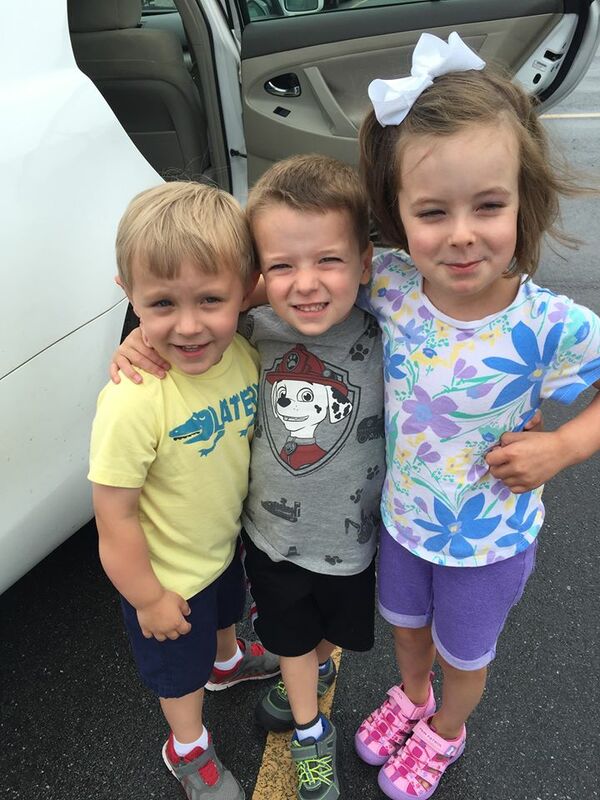 They had a fun week of swimming, the Amazeum in NWA, playing with toys and spending time with Gigi and Pops. While the kids were away, Tim and I organized the garage, went on some dates, on a hike with some friends (and it was so so hot), got a mani and pedi, haircut, went to the Smokies Game and slept in! they played the Mariners minor league team so we wore out Mariner's jerseys! Last week, Tim was at a worship conference in Gatlinburg, TN all week. The kids and I stayed busy while he was gone. Monday morning we went to exercise, then came home for me to teach a piano lesson while the kids got haircuts. I teach our friend Lola and her mom cuts our hair. Thankful she cuts the kids hair while I teach! That night we played and ate dinner at home. I had a meeting later on that evening at the house after the kiddos went down for bed. Tuesday morning, we got up and headed down to World's Fair Park for playgroup. The kids loved playing in the spray park next to the Sunsphere. The past few times we've been down there, the water hasn't been on. The kids have been doing really well at swim lessons. Both have been listening to Blake and learning a lot! These pictures aren't all at swim lessons, but you can see Theo putting his face in the water and getting comfortable with it. A couple weekends ago, we went over to Loyston Point Campground to swim and dig in the sand for the day. The kids loved making "mud pies" then washing off in the lake. So fun! Thanks for the recommendation Summer!